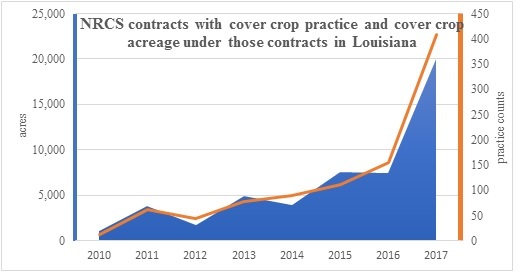 NRCS-EQIP contracts using cover crops as a soil and water quality practice showed a significant increase, i.e., the contracts that specified cover crops as part of their practices increased from 12 in 2010 to 409 in 2017, totaling around 20,000 acres as part of those contracts. 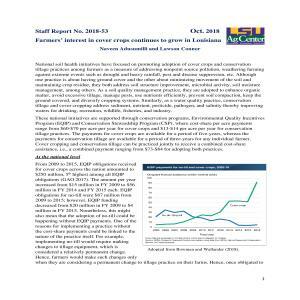 These numbers show that Louisiana farmers are showing a great deal of interest to implement these practices to achieve soil and water conservation on working lands. Read the complete analysis in the attached document.